The Technical Theater Electronics Blog. I was once presented with the idea to make a water cooler that made bubbles on cue. the idea was that the cooler went empty during a 50 min theater show. It also needed some mystic lights. There was also the idea that the tap on the cooler some times worked and some times not. The solution i found was to make a setup with two dmx controlled valves and and a waterproof rgb led strip with a dmx controller. Im going to leave the rgb led strip out of this story and concentrate on the dmx bubbles. First i got my hands on a water cooler and luckily i got one of those with a heater to make warm water for tea or instant coffe. When I opend it i found out that there was noway to make a nice cut to the cooled part of the cooler it had plastic pipes for the water molded in to the construction. 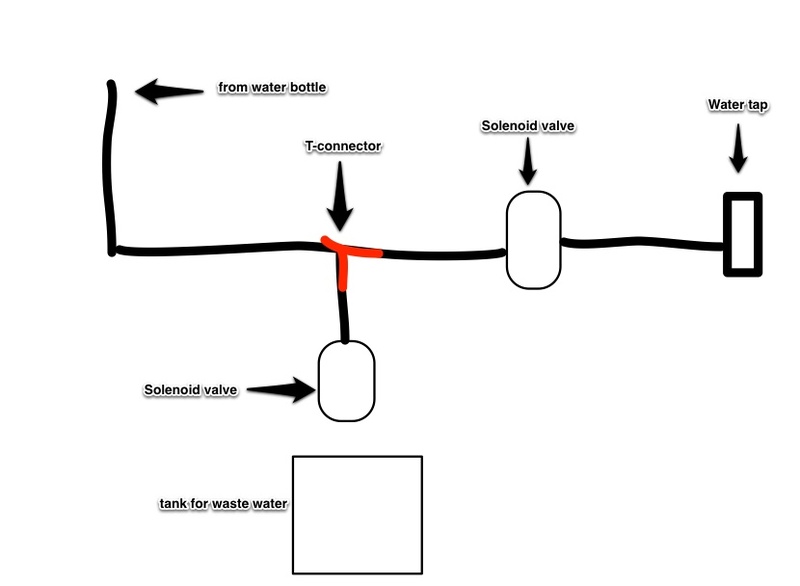 But the the warm water was in a steel tank with a heater and it had a inlet pipe from the water bottle and a outlet pipe to the tap. I just took a tiger saw with steel cutting blade and cut the heating tank free. When i measured the steel pipe diameter i found out that the pipes outer diameter was a bit bigger than some food grade tubing I had. That men that i could crank the tubing on to the pipes and it fitted perfectly without any water leaking out. Then i got a t-connector for the tubing and two 12v solenoid valves with tube fittings. The first valves I got, I didn't pay attention to the lowest pressure they would open at. When I tried them they didn't open at full. Because the cooler has very low water pressure and most valves needs pressure to open fully. When I found valves that open at a really low pressure it worked fine. I made the controller to the valves out of two velleman dmx relay kits (k8072) and i putted them in a box together with a power supply. It worked very good when you wanted the cooler to make bubbles you opend the valve to the waste tank and the bubbles came with a slight delay and the same when you closed it. When the actor took water from the tap you open the tap valve and water is running through. If you want it to look as the water stops you close the valve as the tap is open. Here are the schematics and the code for tinkerbell the wirless dmx fairy. #define DMX2048 (2) // (1000 kbaud - 2 to 2048 channels) called by manufacturers DMX1000K, DMX 4x or DMX 1M ??? as you can see you will need a dmx library from deskontrol.net . this is almost their programing example with minor changes. the output Onoff i just a indicator that the Arduino has power and is ready to recive dmx. i will publish the pcb files. but they are not ready yet. This is a simple dmx tester based on a Arduino. 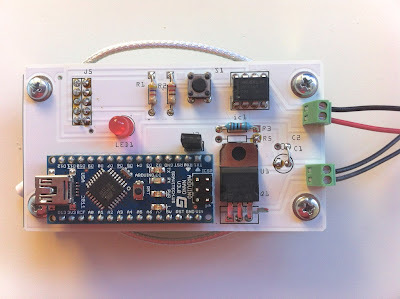 it uses a arduino uno, digitshield from nootropic design, a sn75176 or Max485, a potentiometer and a button. The idea was to make a simple tester wich you could choose channel and value on that channel. when you push the button you enter the channel mode and with the potentiometer you are setting channel. when releasing the button the tester is in value mode and the pot sets the dmx value of the selected channel. I have found it is best to use a 10 turn potentiometer it is easier to set the channel with it because it is more precise. I decided to use the nootropic shield because it was laying around and had a simple library to use. but because the library by default uses timer 2 and the simple dmx library also uses timer 2 there´s a conflict. but it´s pretty easy to change it. just remove the /* */ from timer 1 code and move them to the timer2. 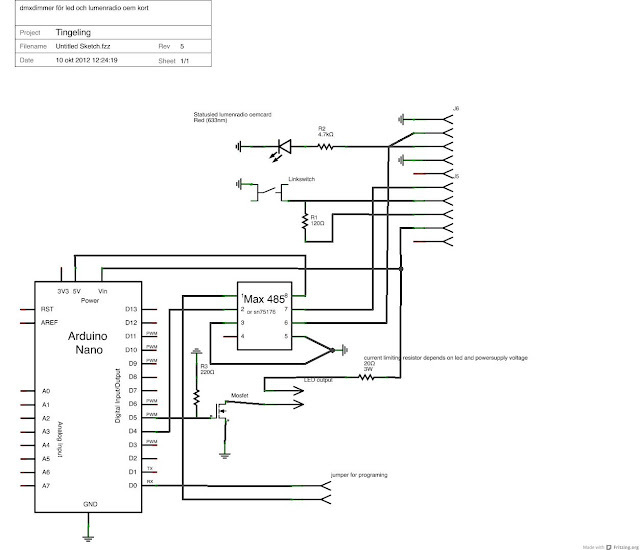 schematic of the dmx tester. I have some ideas on how to develop the shield. using a 4 digit 7 segment display straight to the arduino. instead of the nootropic digit shield. 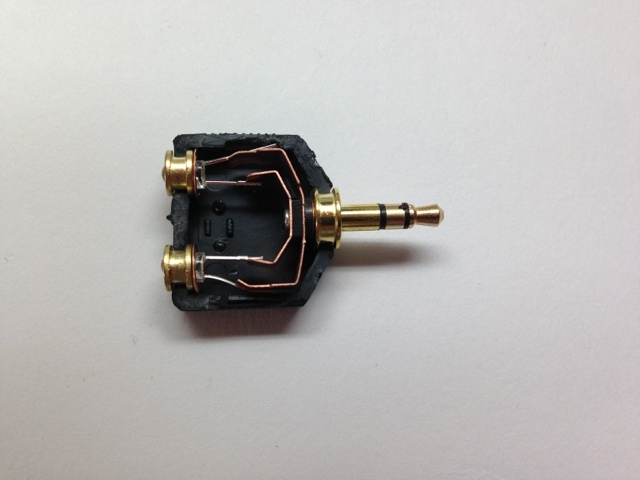 instead of the potentiometer it would be cool to use a rotary encoder with a built in switch. This tuitorial does not have any direct connection to theater but it's smart and cheap and that's good enough. 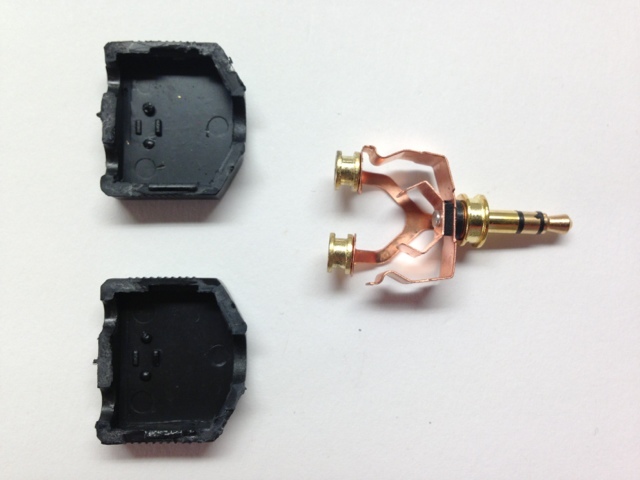 The ir sender has a very simple design. 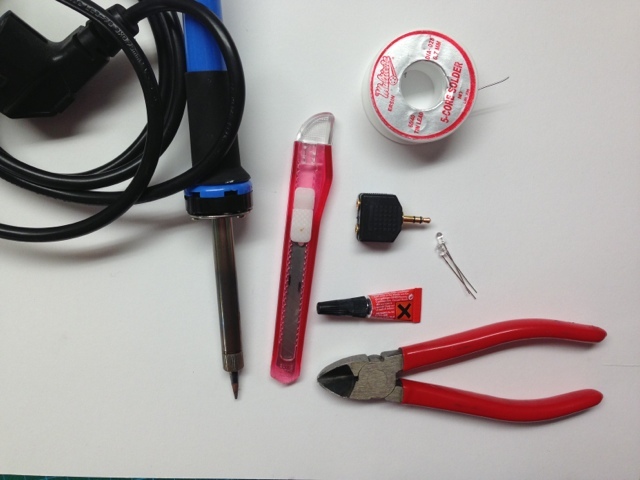 The parts needed is a headphone splitter and two 3mm 940nm irleds. 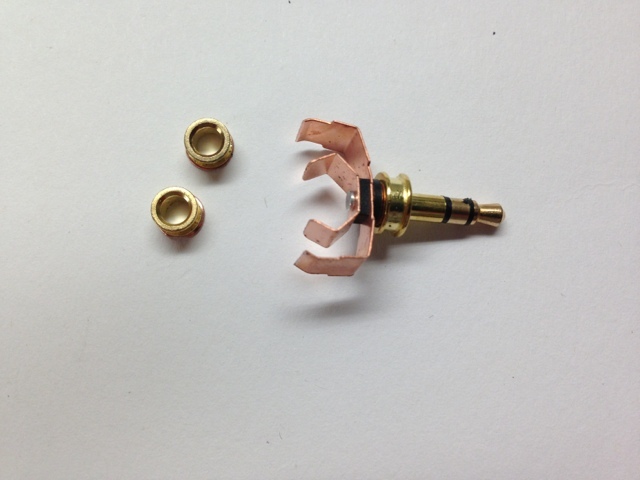 Cut away the earth connections and cut the spring part for L and R. They need to be cut so you can fit the led in the casing. Cut the ir leds legs so they fit in the casing, about 10 mm should be fine. Anode on led1 should be connected to the cathode on led 2. Led 1 cathode to led 2 anode and solder it all together. Put it all back in its case and glue it together. For a couple of years ago i stumble on a project by Simon Newton that used a router and a usb dmx interface to create a Artnet node with a single universe output. 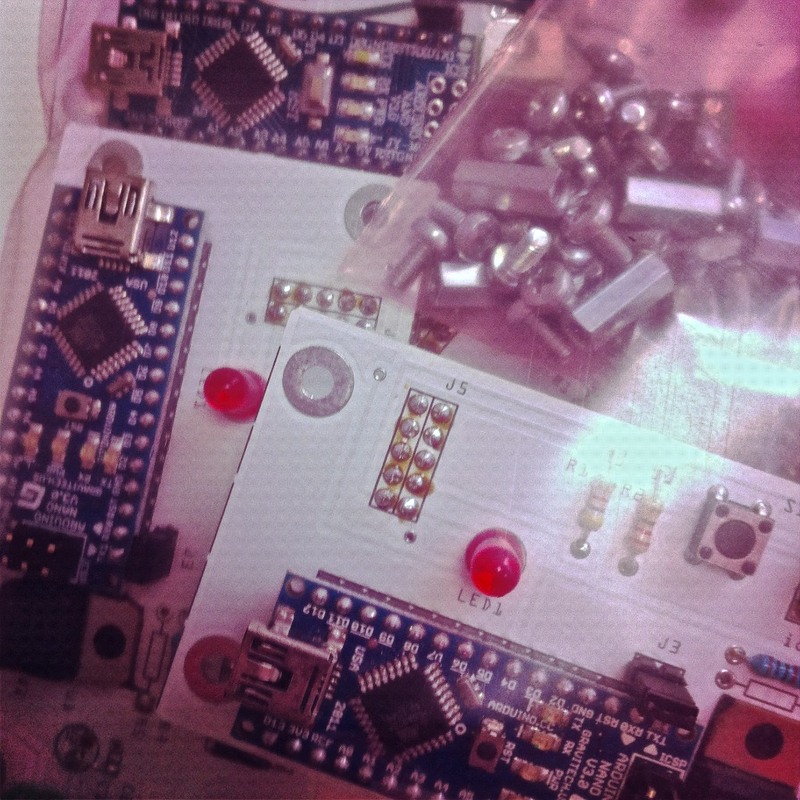 recently i found another project witch used a Arduino and a ethernet shield to make an artnet node. 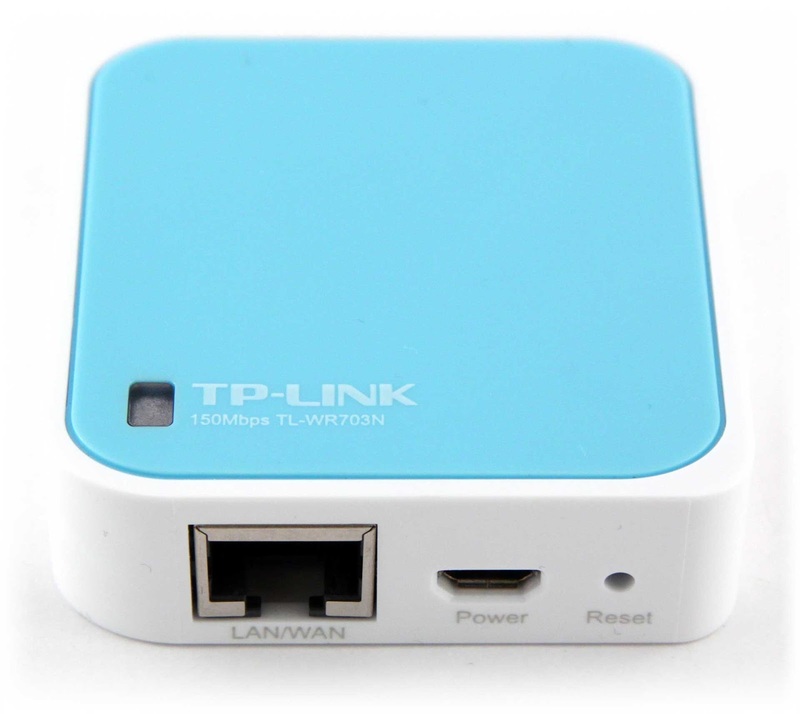 A couple of months ago i got an very small router from dealextreme wich is called TP-Link wr703n . when i was looking for information how to flash the router with english firmware i realized that it was could be possible to make very neat artnet node. It is possible to install a custom linux build to the router and install The Open Lighting Architecture (OLA) and connect a usb dmx interface to the usb port of the router. the only bad thing is the Chinese firmware. first i need to install openwrt. If i will get this to work can make a tutorial. One of my most recent projects is creating a dmx controlled wireless LED. The LED is actually acting as Tinker Bell in the play Peter Pan and Wendy. the play had it´s premier at Stockholms Stadsteater in the middle of december 2012. the idea was to make a small battery powered wireless dmx LED driver. first i had an idea of using a Zigbee solution. but after some thinking I realized that i needed i wireless solution that both I and the technicians at the Theater was familiar with. 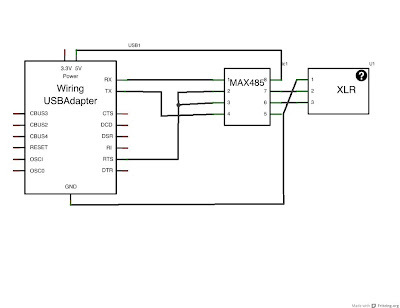 finally i came up with a design using a wireless DMX module from Lumen Radios OEM series. 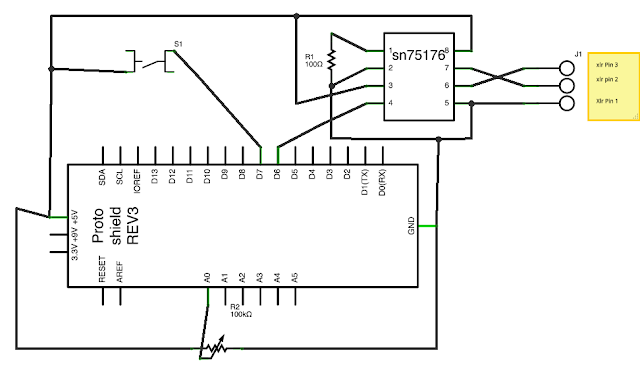 i Made the LED driver and DMX decoder of a Arduino nano with a max 485 and a mosfet to drive a 3w LED. 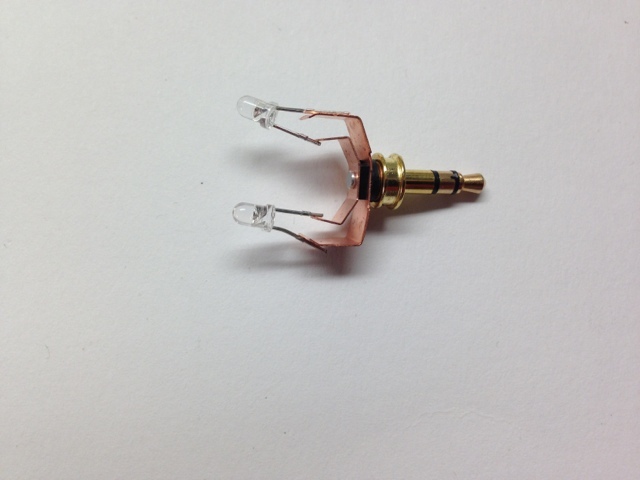 this was soldered to a PCB also containing a status led and a mode switch for the WDMX card. i made some mistakes along the way one was the choice of the LED was a bit too late and should have been done earlier in the design process. The choice of powersupply circuit and LED driver design was dependent on the choice of the LED. as a result of this the PCB design i came up did not exactly match the final design of the fairy. thats why i will not publish the actual plans here because i had to modify them to work. If some shows any interest i can publish the final modified schematic and arduino code. Theese module was then supplemented with a strobe follow spot that was acting as Tinker bell when she was flying. The final power source was a 10.8 volt RC battery. The original idea was to use a 9volt battery but it run out of juice to fast. the finished pcb with the wireless dmx module underneath. The White Cable is part of antenna. As you can see there are some modifications made on the pcb. a bunch of tinker bell modules ready. There are many usb to dmx interface on the market and they are very cheap but if you want to make your own you could make it even cheaper. 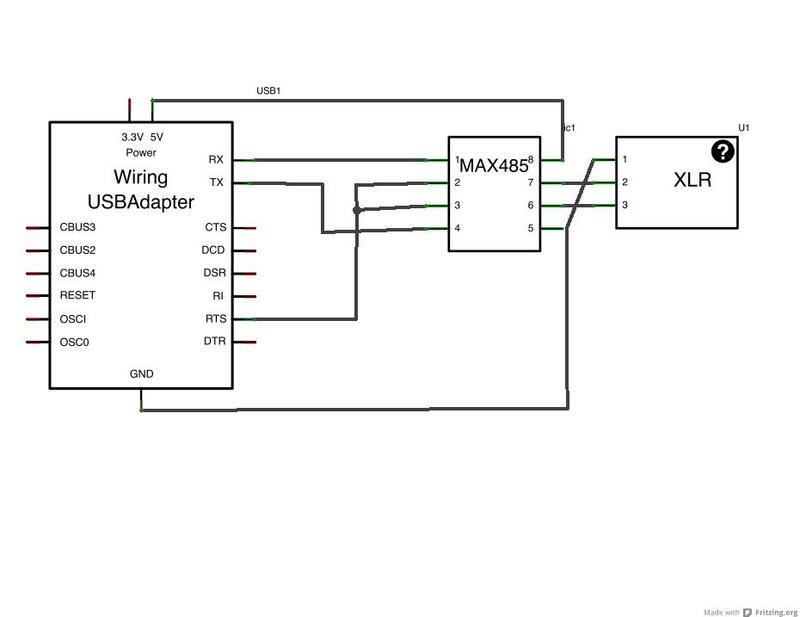 This interface will be related to the open DMX usb interface. It will be supported on windows, NOT on osX and i have not tried it on linux. software that supports open dmx will support this interface. It is possible to make it with only three parts. i will not make a step by step tutorial but its not hard to make it. 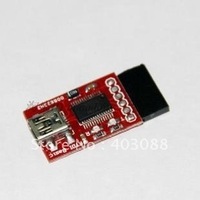 First we need a usb to rs323 module. this module needs to have a FTDI ft232RL chip on it. The Module comes in many different shapes and sizes, there is also usb cables with a chip built in the connector. 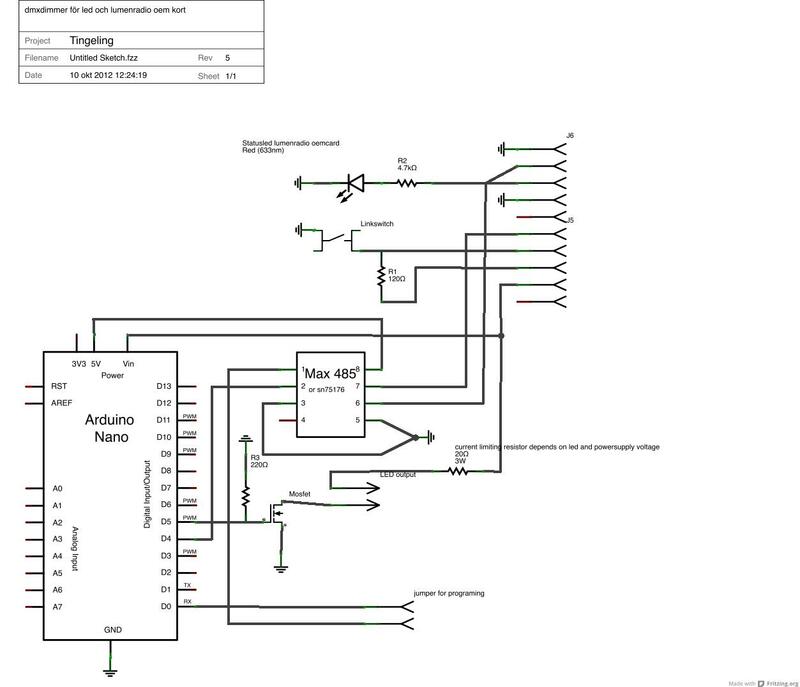 then you will need a rs232 to rs485 IC to convert the serial output from the ftdi module to dmx/rs485. I have used max485 or SN75176. you could get them for a couple of dollars or even cheaper. 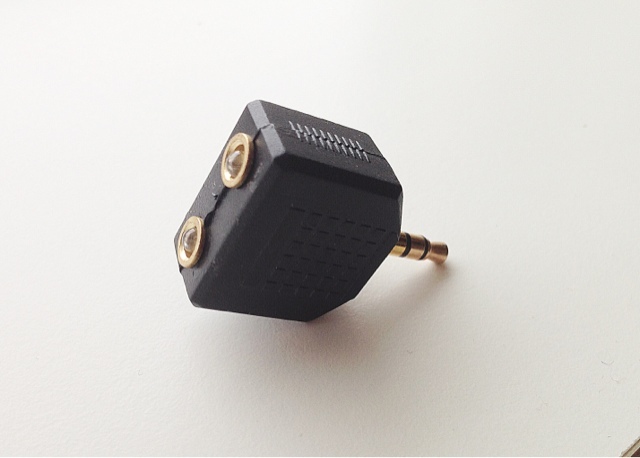 At last you will ned a 3 or 5 pin female XLR connector. you could leave pin1 not connected and connect pin 2 to ground. pin1 on the max 485 is receive and pin 2 is receive enable. This interface can not receive dmx any way so thats why they are not needed.